It is no wonder Pilate was puzzled. The man standing before him had been accused of being a king. But what kind of king? He wasn’t like any king he had ever seen. Kings were clothed in rich garments – Jesus wore ordinary walking clothes. His mockers had to put on a purple gown to make him look anything like a king. A king would usually have a crown but Jesus had one made of thorns that cut and hurt. Kings were usually wealthy, but he once said that foxes have holes and birds have nests but he had nowhere to lay his head. Kings are people who are served by courtiers and subjects, but this king said he came not to be served but to serve and to give his life as a ransom for others. What kind of a king is this? Kings were honoured, but Jesus’ own people had handed him over to Pilate for killing. 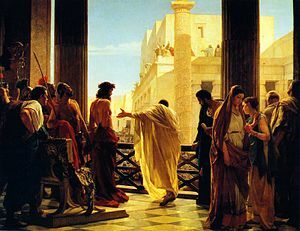 Pilate fears someone called the King of the Jews. Will he be a man who leads another riot against the Romans? But this man is laughable to him. He talks in riddles. He says his kingdom is not of this world and that angels would help him if he wanted. He talks about truth, when Pilate has the power to crucify him or set him free. What kind of king is this? Some of you will remember King Xerxes from the book of Esther and the saintly Hamaan who kept him on track. But he is not that kind of king either. Well, let’s think a little further about what kings do. They have rules to live by. One such rule was when Jesus enunciated the Golden Rule where he said do unto others as you would have them do unto you. He also explained, a man does not live by bread alone. But the two rules he commands us to live by are for us to love the Lord and our neighbour as ourselves. Everything Jesus taught or wanted is in them. He gives us a huge amount of freedom to work out what it means to love God. How to love God with your time, your money, your influence, your wuthority, your future and in your words. Our closest link with a king is through the Queen and the Royal Family. It is a pity that for many young people all they have seen of them is riotous behaviour, adulterous activities, tell all books written by parasites and the tragedies like Princess Diana’s death. 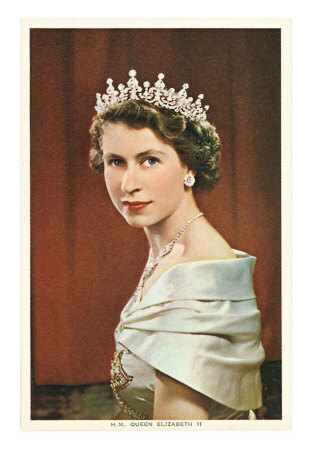 We don’t always appreciate the strong influence for good that the late Queen Mother was in the Second World War, and the moral and spiritual strength of Queen Elizabeth through the most tumultuous century in history. The Bible however teaches that real royalty is seen in Jesus. He was not born into royalty but for royalty and of royalty. In John 18 it is veiled. You only see something of his royalty as you passionately believe in him. Then you discover that a good king loves his subjects. The King of Morocco is an unusual figure in our times. He closely keeps in touch with his people. When they write to him from around the world, he handwrites letters back to them. He cares enough to write. He is loved and valued. So too with our king. He loves his subjects, we who believe in him. Who have been born again through opening our hearts and lives to him. The amazing thing about this king is that for him none of his subjects are more important than another. Children and young people are as important as archbishops and moderators. All matter the same to him and he can use all of us. Some of the most important people in the Bible were far from perfect and that did not mean they could not achieve great things. No-one is unusable or not valued in this kingdom. This is a strange but wonderful king indeed. Humble, lowly, mixing with ordinary people, no courts, no pomp, no self-importance, he is as one of our songs say of him – a servant king. Jesus the King is very different again. He humbles himself before us on a cross when we would happily humble ourselves before him. However, his humility will not always remain veiled. The Bible says that one day all will see him as king. Those who are his subjects will be glad to see him, those who are not will not be glad but sad and mad that they did not believe him when they had the opportunity in this life. Jesus Christ will one day return bodily, reveal Himself to the nations and reign in all His glory. Everyone will recognize Him as the King eternal (1 Tim. 1:17), King of the ages (Rev. 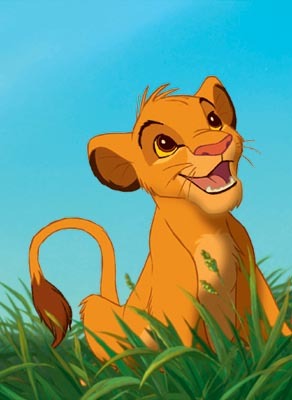 15:3), a Great King (Ps. 48:2), an Eternal King (Ps. 29:10; Ps. 10:16), King over all the earth (Ps. 44:7, Ps. 47:2-3, Zech. 14:9), King over all gods (Ps. 95:3) and all nations (Jer. 10:7). And he wants us to be his subjects now and forever. He will recognize us when he comes as members of his kingdom and will have a special place and jobs ready for all who obey his commandments in the time he gives us. Jesus wants to always be your God and King (Ps. 5:2, Ps. 44:4, Ps. 68:24, Ps. 84:3, Ps. 145:1). Are you ready for your Master, Lord and Saviour who is the coming King?